Is your Midland septic system having issues? Are you having backup issues with your system? Do you want to call a professional team to handle all your septic tank needs? Give Midland Septic Tanks service department a call. Call today before you get stuck in a mess at 432-741-3025. Build up of sludge, scum, and other residue will clog up your tank over time. Don't just go under the assumption that just because you don't see these issues the problem does not exist. These issues can live deep within your system and tank. 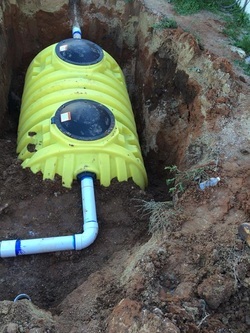 If you own a Midland or Odessa septic tank you need it checked often to make sure the system and tank is not in need of repairs. Call to schedule your appointment to get your system checked out, and see how we at Midland Septic Tanks can best serve you! Improperly processed waste water can cause health problems for you and your loved ones, destroys your soil, and lowers your property value. This can all be solved with inspections and tank repairs. Don't call when it is too late. We will come inspect the condition of your tank and system, and make sure it is all working properly. Let us save you time and money in the long run. Call today to schedule your free inspection. Call now at 432-741-3025. Need the whole system checked out, give us a call before you end up with a mess on your hands. Check out our service page Septic System Repair.